W3 International Media is one of Western Canada's most established Internet Services companies, providing a comprehensive range of products and solutions for businesses and organizations everywhere that the internet reaches. 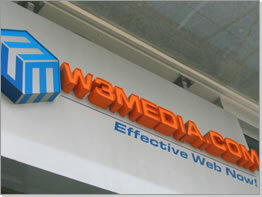 W3's service options include professional web design, domain registration and world-class hosting & server co-location. Since its incorporation in 1997, W3 has established an enviable reputation for exemplary customer support, high quality service and continuing reliability. W3 serves an impressive portfolio of clients including the British Columbia Securities Commission, the United Way of the Lower Mainland, Bandai Entertainment and A&W Foods.